The Chicago Cubs staved off elimination for at least one more game, but they remain 3:1 underdogs to the Cleveland Indians. The math here is pretty simple. The Cubs need two wins, but the Indians only one. The Cubs enjoy the statistical advantage in RPScore, but the Indians enjoy the advantage of playing on their home turf. The Tribe's home field advantage and the Cubbies' RPScore advantage just about cancel each other out. That means tonight's game, and the potential seventh game, are essentially coin-flips. Tonight's game is 50-50. 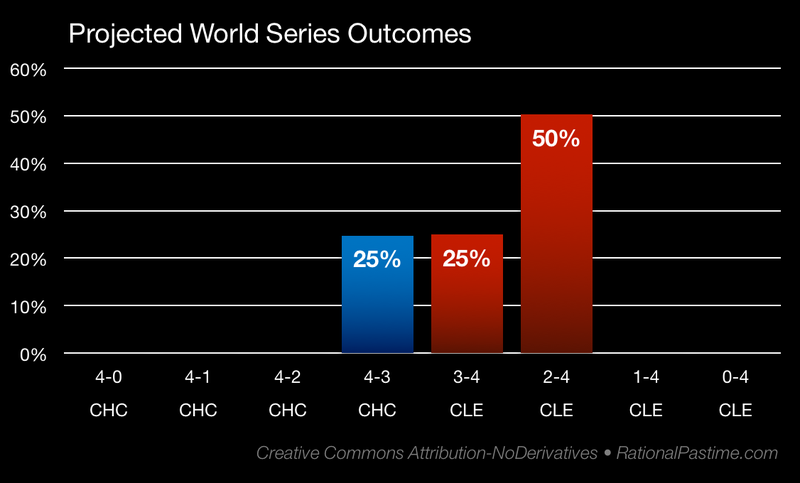 A 50-50 chance of either team winning tonight means a 50% chance of a game seven, which would itself be 50-50. 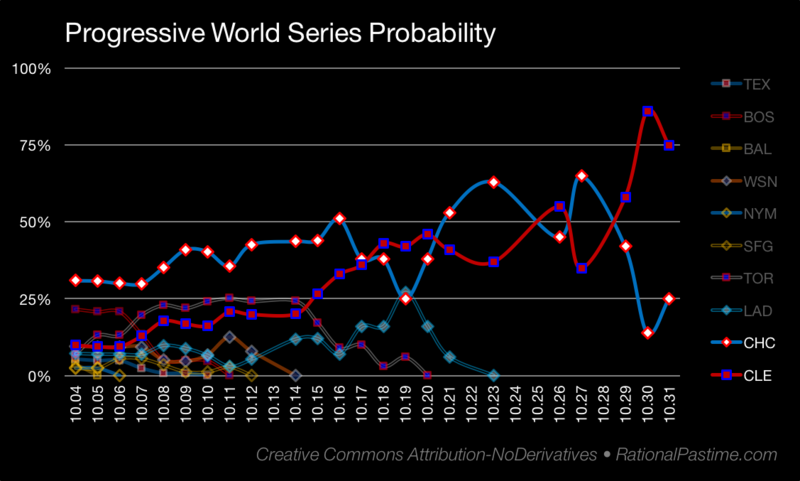 The Indians win it all if they win tonight (50%) or tomorrow (25%). Add 50% to 25% and you get the Indians' 75% shot. If the Cubs survive, we're in for an epic game seven and a preview of the (very obvious) projections for both teams. If the Indians win, we'll have the end of 68-year-old title drought and a 2016 postseason recap. Tune back in for either one after tonight's big game.